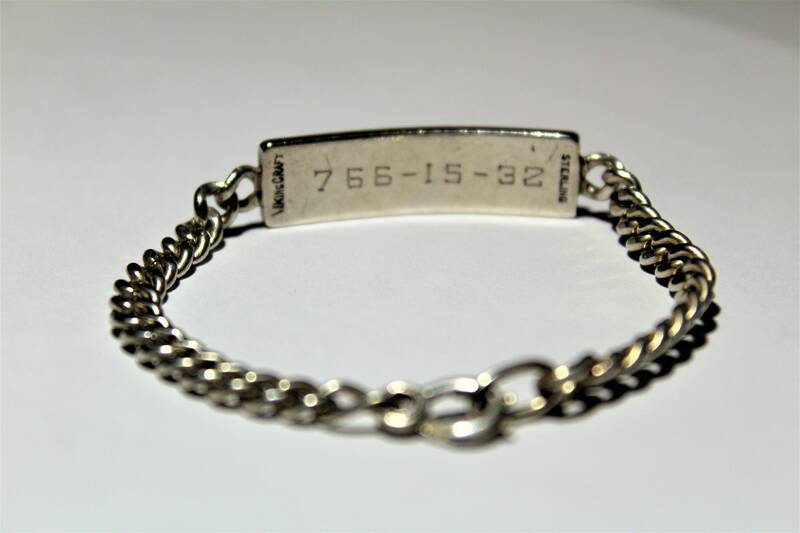 We have for sale a Vintage Sterling Silver Identification Bracelet made by Vikingcraft. 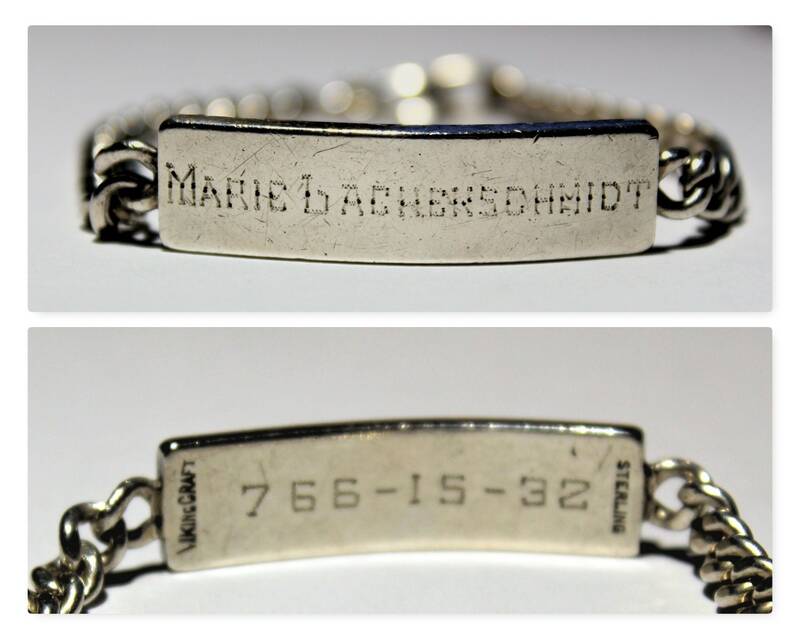 Wonderful piece of Immigration history. I get sadden when I find such personal pieces of history discarded or lost in life’s fury. 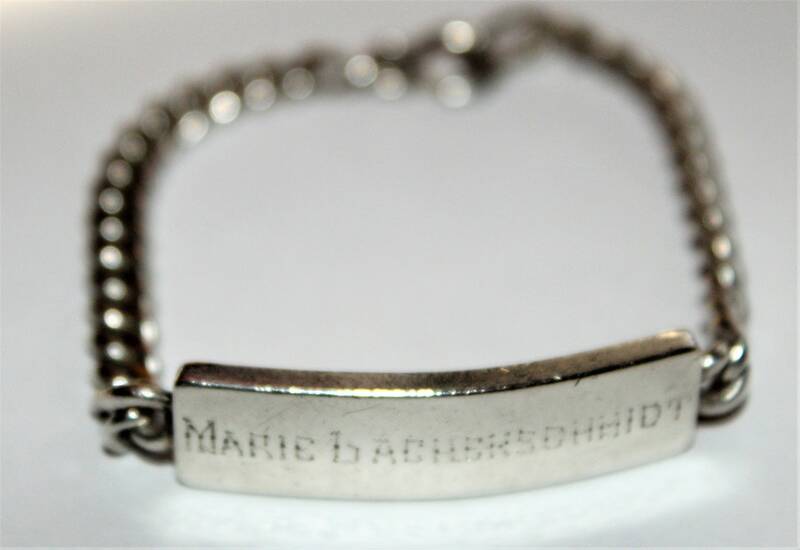 This beautiful little bracelet would have been placed on the wrist of a little girl Immigrating to the United States from Austria in 1930. 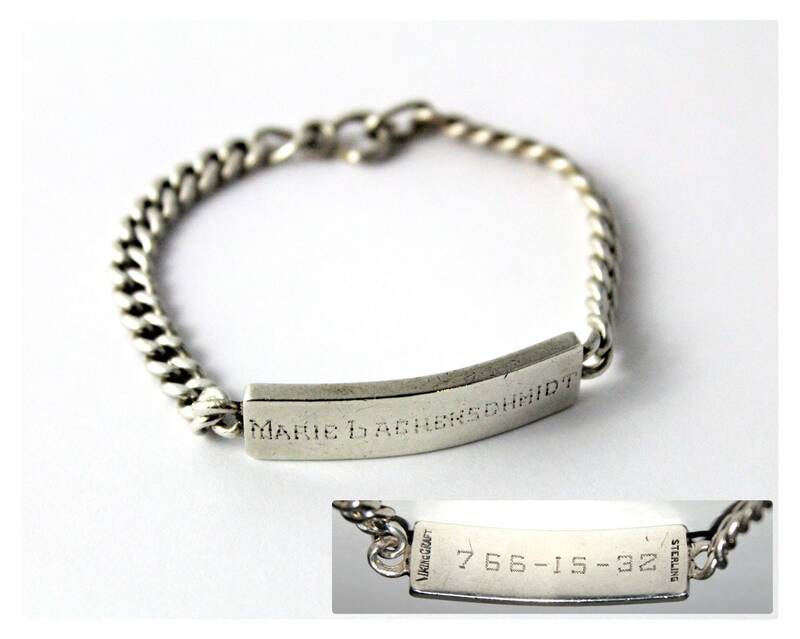 The phone number on the back was her emergency contact if something went wrong. 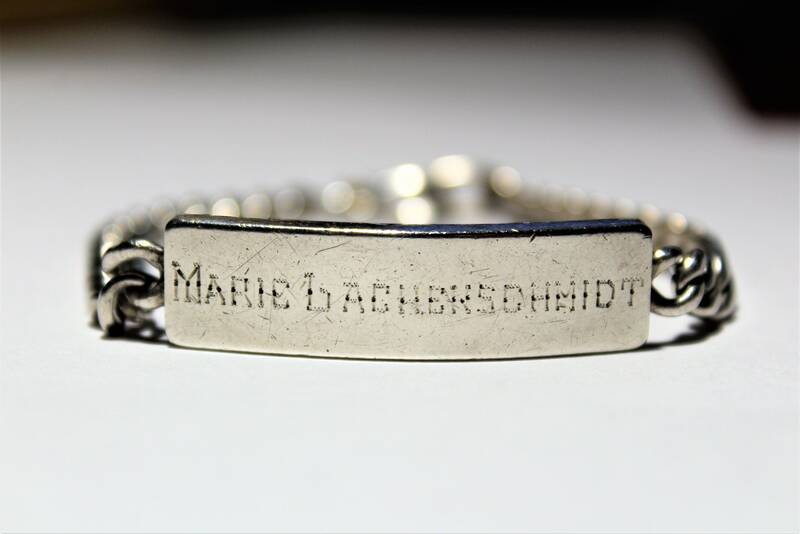 Even though it is unknown who the original owner of the bracelet is, there was a Maria Lachenschmidt that immigrated to the US in the 1930s from Germany. Her port of arrival was Ellis Island, New York. From the 1930 census, she was born in 1923 and died in 2000 after settling in Milwaukee, Wisconsin with her parents and siblings. Another ancestry site lists Hamburg, Germany as her place of birth. 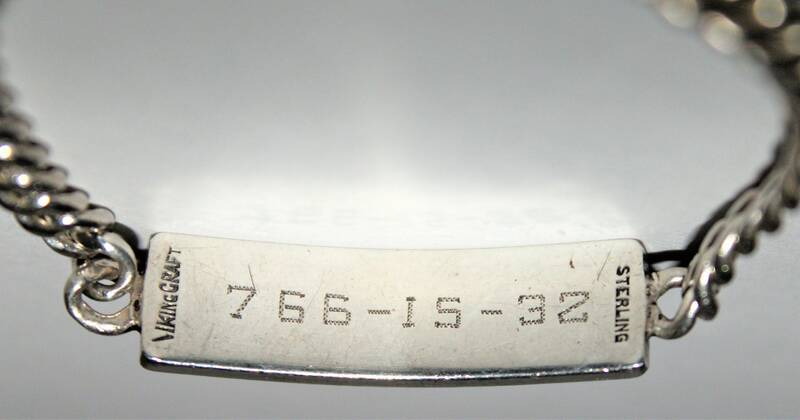 The number on the back corresponds to a phone number in Leinz, Austria. We acquired this lovely piece just north of Chicago. Condition: Good vintage condition with scuffs and scratches. 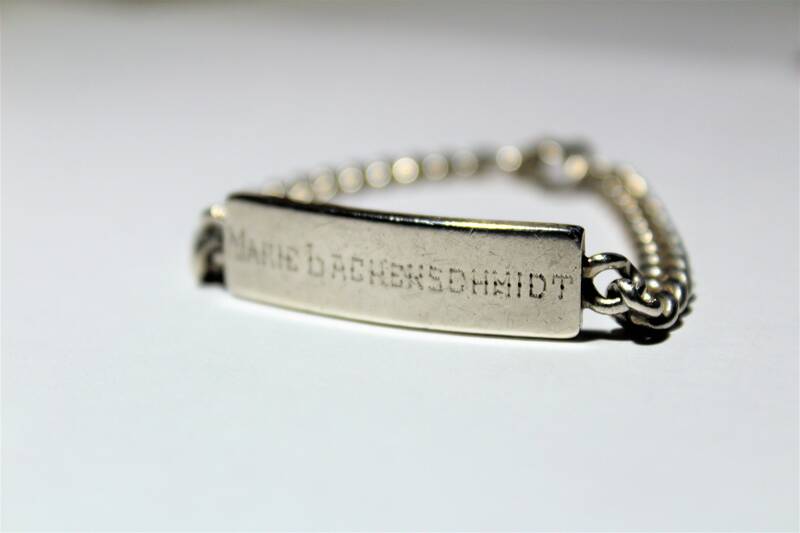 Some wear and tarnish consistent with age and use. Please see all photographs as they are part of the description.